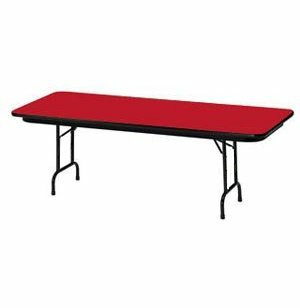 Adjustable Height Colored School Folding Table 72x30"
These adjustable-height folding tables are topped by a high-pressure, scratch-resistant laminate surface. It conveniently wipes clean with just a damp cloth. Black edging all around the table surface protects it against chips and cracks that can be caused when moving tables. These rectangular folding tables are great for schools. Available in a wide variety of popular youth-orientated colors, these tables brighten classrooms and hallways. 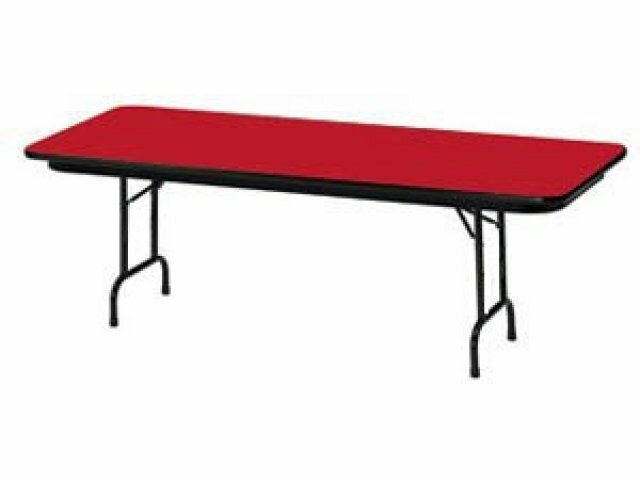 When you need an affordable and durable table designed for the kind of heavy use tables get in a school, you should consider this model.